The best track I like is Destiny by David Thulin & Euphoric State ft Spencer Lloyd which I also did a remix for. My top 3 would be ..
Jerome Isma-e remix of Heart Call by Solid Stone, He puts a very progressive touch on the original. David Thulin & Euphoric nation - Destiny ft Spencer Lloyd. Ilan Bluestone love all his productions at the moment. Paul van Dyk - Reflections this was one of the first albums I listened to in my bedroom or on the train. Big Sky by John O’Callaghan I think the lyrics sang by Audrey Gallagher is one of the best up there. One if the most talented singers in the industry at the minute for me would be Jennifer Rene, she is a huge talent and somebody I would love to work with in the future. There are so many to name but OHM Music are releasing some brilliant stuff at the minute. Darude Sandstorm is one of my favourites I remember seeing it on TV when I first got into music and it’s stuck with me ever since. Facebook would be the best way to communicate with people around the world. Messages I have received are from people who enjoy my music and being asked to do remixes which makes me feel proud and makes me more determined. I wouldn’t say there is a favourite they all do the same thing and it’s what your used to in the past I have used fruity loops which was good in its own way and now I use Logic again, it’s good in its own way. That would have to be Luminosity without a doubt personally. One of my favourites would be at Trance Sanctuary in London. The vibe is electric there every time, and to have played there was an amazing feeling. The best country would be when I played in Prague along side DJ Madwave and Jase Thirlwall. The crowd was brilliant and the interaction was amazing. Personally Rock Fm which is a local station we’re I live that do play trance every now and then. I always use Trackitdown for my stuff, it’s just a personal choice. I tend to check out Beatport & Trackitdown and keep up to date with all the latest releases. The app I use a lot for my productions is called ChordWheel it’s good for when your starting of and you want to know which keys go together. The CDJ 2000s would have to be the best, it is changing the way we DJ by linking your playlist from one deck to another. I’m really into the deep kinda stuff so for me Solid Stones productions are brilliant. Best tip would be always finish a track it might not be the best but you always learn something. Be determined and take criticism well and not to heart, it will help you in the future. I spend a lot of time in the studio working on tracks and remixes but I also enjoy sports like football and play twice a week. My number 1 place would be America either for a holiday or to DJ I think it would be amazing. Mixmag would be my favourite, it contains a lot of tips for producing. This is something I’ve been trying to get into at the minute, I’m not sure about this year but I’d love to do something like the Titanic. 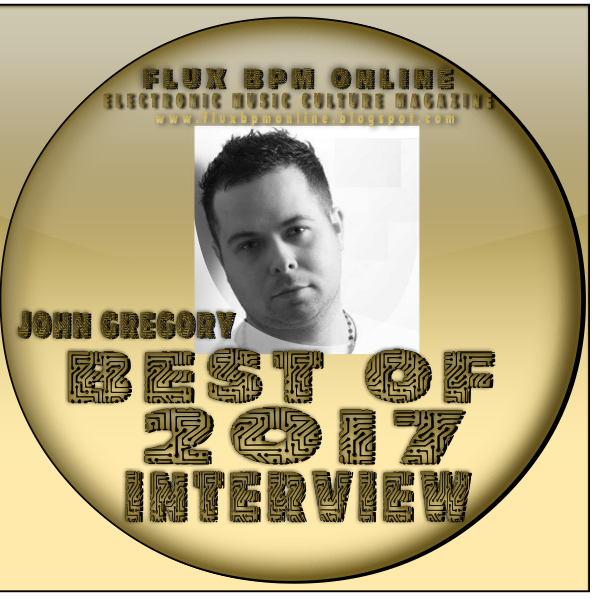 John Gregory: At the minute I’m working on my first album which hopefully will be released on Nueva sometime next year.